When the weather turns cold and frightful, it’s natural to want to stay indoors where it’s nice and warm. However, cold and snow don’t need to put a halt on your fence installation plans. Winter can actually be a great time to get a new fence put in. For those in the know, these chilly months are an amazing time to contact a fencing contractor since you can take advantage of exclusive attention, potentially better prices, and more. Like most professionals, fence contractors usually have more than one active job at a time and need to schedule around each of them. As demand for fences increases, a contractor’s availability decreases. Like with any seasonal work, fence contractors see their demand drop off as the weather chills and snow starts to fall; but you can turn this to your advantage. Getting appointments, consultations, work times, and more all become much, much easier during the winter. Furthermore, advanced customizations that would require unique parts or specialty skills—ornate designs, lighted posts, or panel engravings—will take less time to acquire due to the decreased demand. Alternatively, if you’re the indecisive sort, winter can be a good time for fencing projects that may take longer to complete. You can experiment with different designs, materials, or layouts without feeling pressured by the clock. After all, you aren’t going to be getting much use out of the fence until spring, so why not be thorough? With any landscaping project, part of the cost is always due to having to purchase the necessary materials. While some materials are inherently pricier than others, part of the cost is due to supply and demand. As mentioned above, demand for fence installations—and therefore fence materials—drops during the winter. You and your fencing contractor can take advantage of this and get less expensive materials from suppliers trying to sell off their surplus before the year ends. 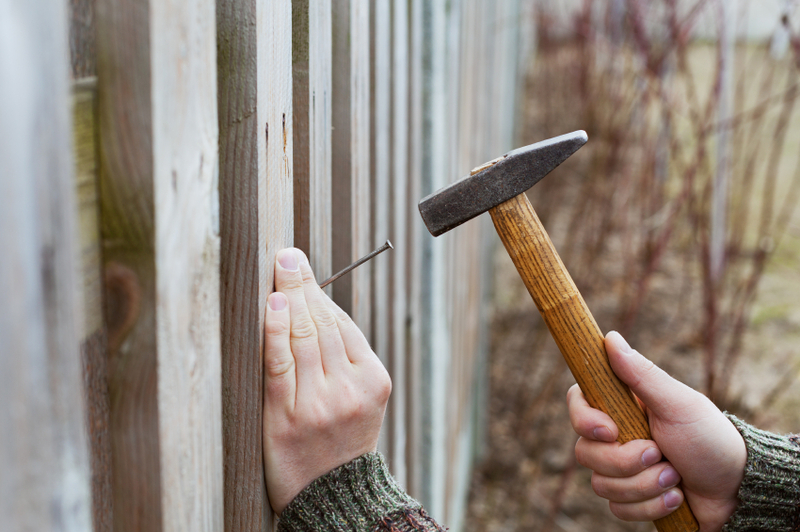 As a result of this, winter can also be a great time to get done any fence repairs that you may have been putting off. Although winter can be a good time to get fence installations done, there are still a few things to keep in mind about how the weather will affect your projects. Fencing contractors have access to specialized tools like power augers that can be used to drill post holes even through stiff, frigid ground, but these tools do have their limits. Heavy snowfall can interfere with running string lines and wet, rainy winters mean a muddy ground that will shift the posts. Your contractor will be more familiar with the soil quality and condition around the work site, so talk to them about the optimal conditions for your winter fence installation. Total Fence Inc. is one of the top fence installation contractors in the Greater Toronto Area and our experts can walk you through the ins and outs of fence maintenance and repair. Contact us at 416-239-5362 to speak with a consultant and learn how we can make you a wonderful fence for any yard.